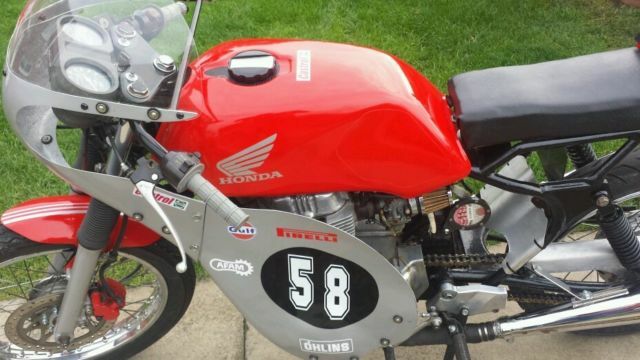 Description Honda GP racer/cafe racer. 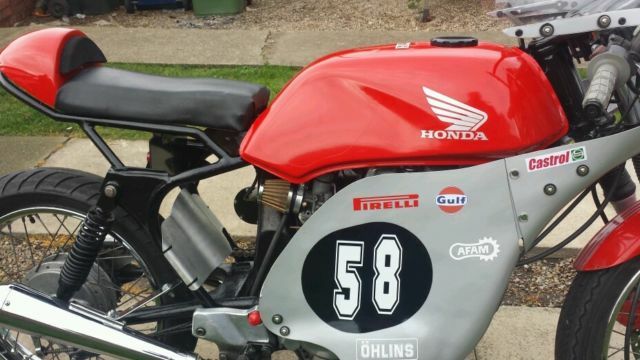 Here is my stunning custom classic cafe racer. 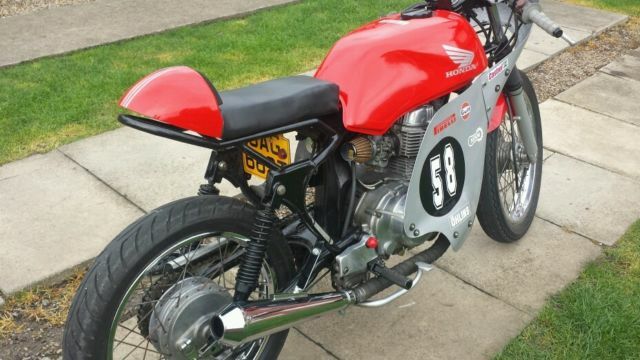 Its formed from a standard cb250 superdream. Not many around in this custom condition. Gp cafe racer style. 1979 . Day time mot just expired. No lights. No kick start bump only. Twin carbs andtwin air filters.heat wrapped twin exausts. Gp fibre fairing. 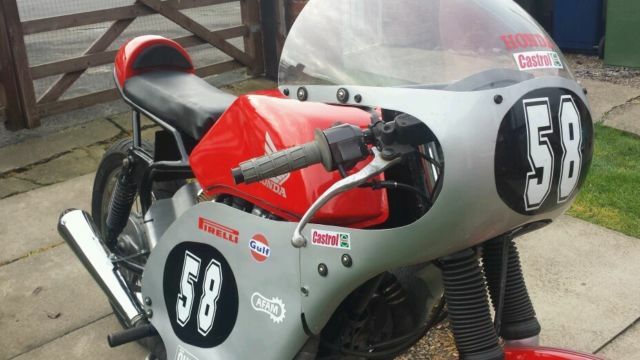 Bar end mirrors.new engine with 5000 miles on it which is registered on with dvla and on log book. Log book on my name with all matching frame and engine numbers. Lots of chrome. 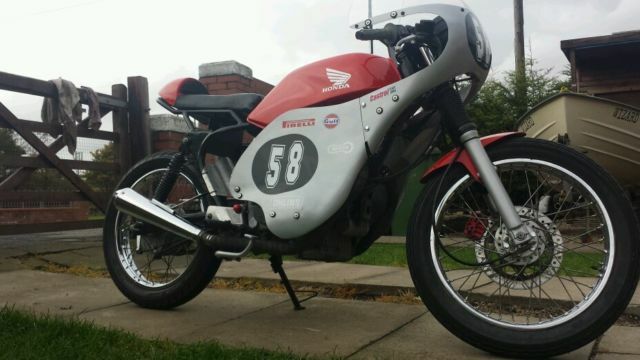 Simply a stunning cafe racer style summer toy. Gets attention all day long. Sounds awsome. This is advertised elsewere so may remove. And veiwing recommended . £100 non refunable paypal and cash on collection. Call 07403927436 for veiwing. 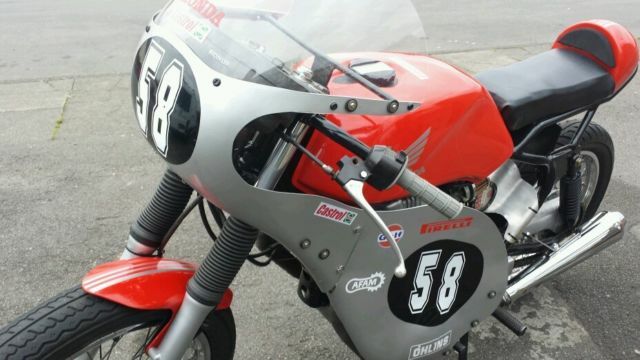 Reviews and comments for Honda GP racer/cafe racer.